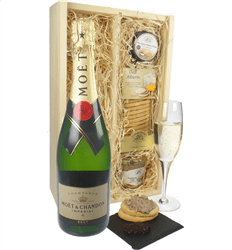 Any gift that contains both a drink and something to eat must be a winner and our Moet & Chandon Champagne and gourmet food gift boxes will not disappoint. 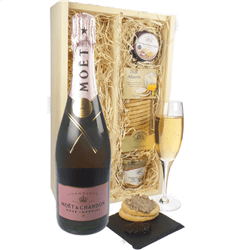 This gift contains a bottle of Moet Champagne and pate, biscuits and chutney. 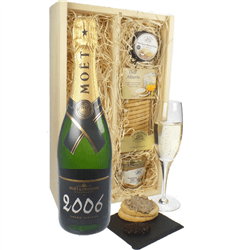 Delivered on the date you choose and beautifully presented, the gift is completed by adding your own gift message.